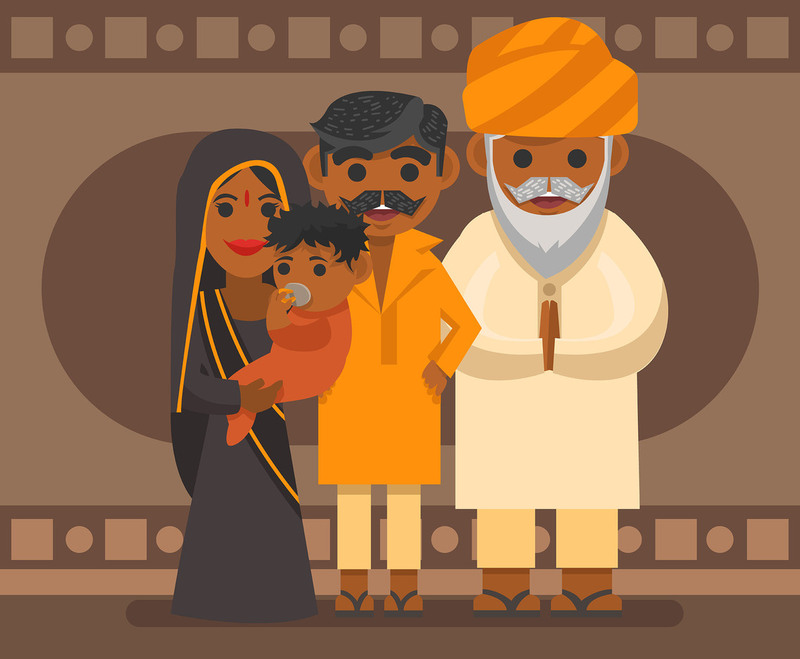 Here is an illustration of a an Indian family in their traditional clothes. I hope you can benefit from this. Enjoy!